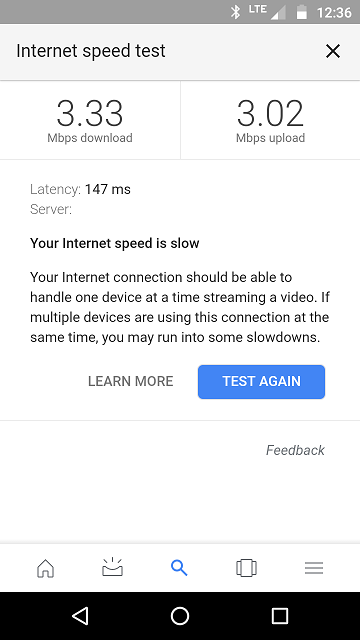 This thread is to post your current mobile internet speed. You can post internet speeds from different locations you are at...like village, town, railway station, airport etc. 1. If wi-fi is enabled on your phone, disable it. 2. Take google. 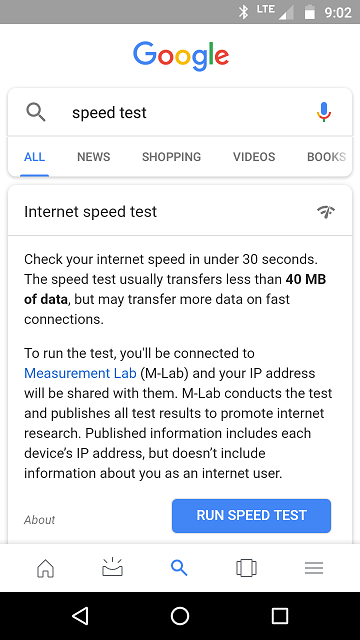 Then type "speed test". 3. Search results will appear. The first result will show "run speed test". Click it. 4. Post the result here. You may add screenshot for authenticity. 5. Please also post your network name and phone model. Last edited by firecrown; 06-09-2018 at 01:39 AM.